You ask us to build a BAD TO THE BONE integral for the CZ Scorpion and we heard you! The IA-SC9 transforms the Scorpion into the perfect shooting experience. It’s industrial strength rugged, sweet to your ears, and gives subsonic velocities with high velocity ammunition. The integral is user serviceable with the baffles numbered for easy reassembly, and comes with the HB Industries 6.84″ handguard kit already installed. All the MLOK slots on the bottom can be used and all of the side slots can be used except for the front two slots of both rows. Offered as a complete integral pistol or as a modification to your provided Scorpion. Firearm model ,color, and furniture may vary. Specify with your dealer before ordering. Click the tabs below for more information,including pricing, customer reviews and how to order. NOTICE: The IA-SC9 is not modular and is 9.6″ in length. Adding a stock to this integral firearm will make it a short barreled rifle and all NFA rules for SBR firearms will apply. 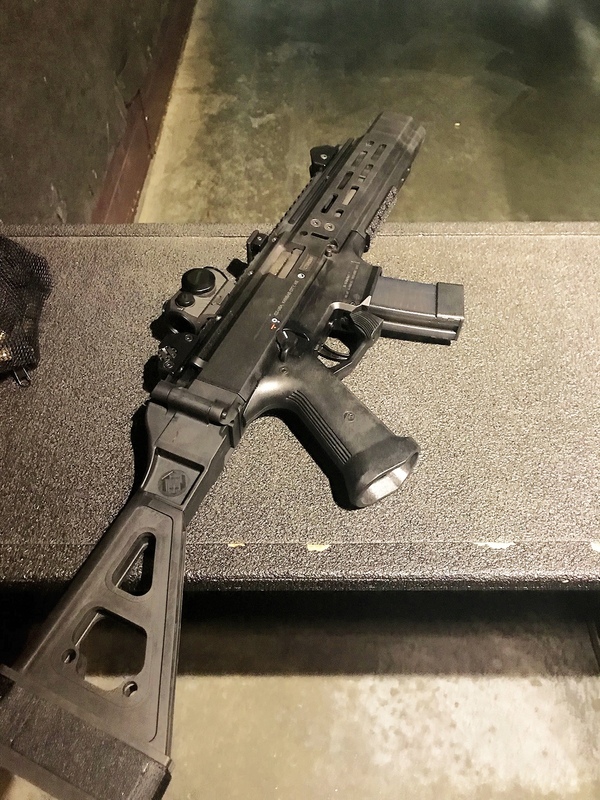 NOTICE: Adding a stock to this integral firearm will make it a short barreled rifle and all NFA rules for SBR firearms will apply. Weight: adds only 12 oz to the original pistol weight. MSRP: $1,699 -$1768 complete integral pistol. This is for the complete integral CZ scorpion pistol with 6.84″HB Industries handguard kit. Total price for the complete integral firearm package varies by CZ Scorpion pistol model and color. 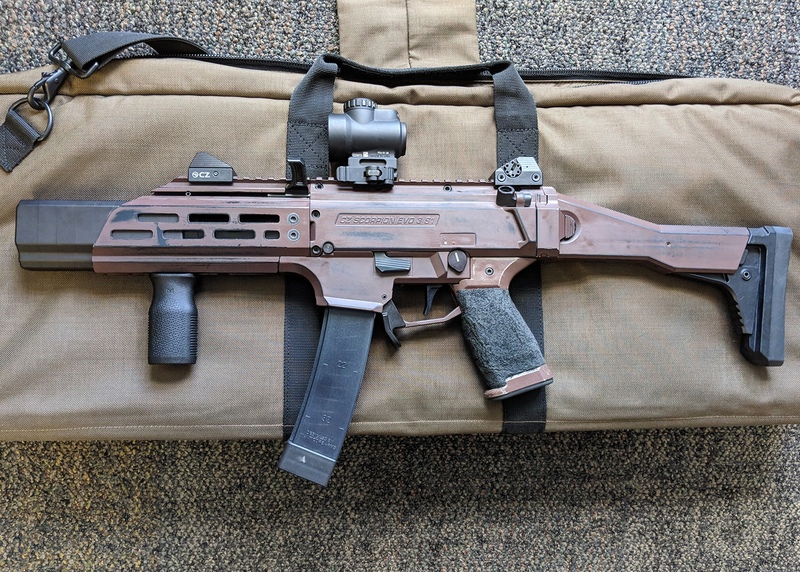 ALREADY OWN A CZ SCORPION? MSRP: $998 integral/barrel/handguard kit combo. The $998 includes integral suppressor, HBI Generation 2 barrel/trunnion, barrel modification and Black 6.84″ flat HBI handguard kit. Excellent company and excellent product. Phillip does great work, highly recommended. Occupation: Firearms/ Defense (licensed) Scott is also a: Competitor/ Shootist, Firearms Instructor, Firearm Manufacturer (Licensed), RSO. Appreciate the quick turn around time and professionalism. This an eye catching, conversation starter which is exactly what we want for a demonstration piece. Looking forward to putting many, many rounds through it when we can get it away from customers who want to play with it. Additional comments: Great attention to detail in your design. Very impressive. Quiet as hell and just what my Scorpion needed. It's a jaw dropper. Couldn't be more pleased. Thanks for making great products! This is a top of the line suppressor folks. Beautiful and very well made. The sound is deep and there is no blow back. I'm still waiting on the tax stamp but have been able to shoot it several times at the dealer's range. First off, it looks even better in person than online. I've gotten tons of compliments on just the look of it alone. Along with being aesthetically pleasing the suppressor performs flawlessly and sounds great. It's hard to tell sound reduction at an indoor range but it absolutely does a great job suppressing.